In the aftermath of the terror campaign launched on Sep- tember 11, 2001, the United States declared war against global terror. It identified the al-Qaida organization and Afghanistan under the Taliban regime as the initial targets of the offensive, and Iraq as the next. 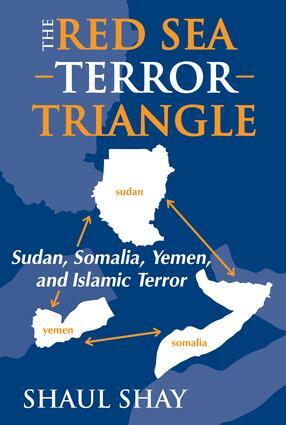 However, aside from the countries included by President Bush in the Axis of Evil (Iraq, Iran, and North Korea), a triangle of countries in the Red Sea region are also potential targets in the war against terror - Sudan, Somalia, and Yemen.This assessment is based on the historical record: Each of these countries has in one form or another provided refuge for Islamic terror organizations. Sudan, Somalia, and Yemen are Muslim states, situated at the periphery of the heart of Islam, which is generally identified as the Arab Peninsula, Egypt, and the Fertile Crescent. This area is of strategic significance to both sides of the vital shipping route that connects the Arabian Sea (the Indian Ocean) and the Red Sea. Osama Bin Laden, al-Qaida, and members of other radical Islamic organizations have found allies and safe havens in both the heart of Islam and its periphery. The presence of radical Islamic entities in the region, alongside local problems and conflicts rooted in national, ethnic, and tribal issues, has turned the Red Sea countries into a nucleus of instability and dissension, one that threatens the security and peace of both neighboring and more distant countries.Shay examines the three countries designated as the Red Sea Terror Triangle, and explores the ties each maintains with Islamic terror, as well as the reciprocal links between them. Understanding these countries is of critical importance, since all or some of them may constitute a base for Islamic terror organizations in the future.